In the previous article, we talked about traffic to your site and we mentioned SEO. Now, let’s talk more about how to use SEO to get free traffic. We know SEO is the best way to get free traffic but we need to do a few set up tasks, keep it up regularly and improve it before it really work for you. What does SEO stand for? It stands for Search Engine Optimization. Most beginner find it complicated when they heard of this term. Don’t worry. Let’s understand what SEO is? Search engines send out crawlers to each site to see how relevant they are for each keyword used on the website. Then, the search engines look for back links to see how much support the site got. With these information, the search engines can analyse and see where the site ranking is. Now that you know a little bit about SEO and why it is important, you can start taking steps to make sure that your site is properly indexed by the search engines. The first step is to make sure that you use keywords in your content. Do not overly use the keywords; remember, they are just words that people are searching for. And people will read your content as well, not just the search engines. Next, you need to make sure that you are getting back links to your site. A good way to do this is to write articles and published on other sites or article directories like EzineArticles. That way, there will be a link from their site to yours. Another idea for getting links back to your site is to get a few other sites yourself, and send links back to your own site. That is known as the hub and spoke method. There is some controversy over whether it is ethical to have your own sites pointing back to your main site, but that is debatable. The truth is of course, that it happens. You must decide what you are comfortable doing it. In addition to getting back links and working on keywords on your site, it’s a smart idea for you to make sure that you label photographs on your sites using keywords. Most people do not do this, not realizing that search engines indexed as well as other content on the site. If you put keywords in the titles of your pictures, you will be beating out a lot of your competition, because not many people think of it. If you can get yourself to the first page of search engine results page (SERP), you are in good shape. Your SEO plan is working and therefore you get free traffic to your site. Keep working on your SEO as what we have mentioned earlier in the article. That is, keep it up regularly and improving it. Make sure you use all the information in this article to better understand SEO and why it is important to anyone with a website or selling things on the internet. 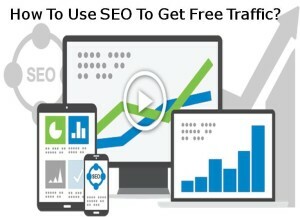 Are you using SEO to get free traffic? What is your comment on this type of traffic generation? Share your view below. Thanks for sharing! People thinking about developing websites should consider using WordPress. There are many great SEO plugins available that make optimizing your website easy. Hi Glen, thanks for visiting and your comments. That’s true and I am using Yoast SEO.